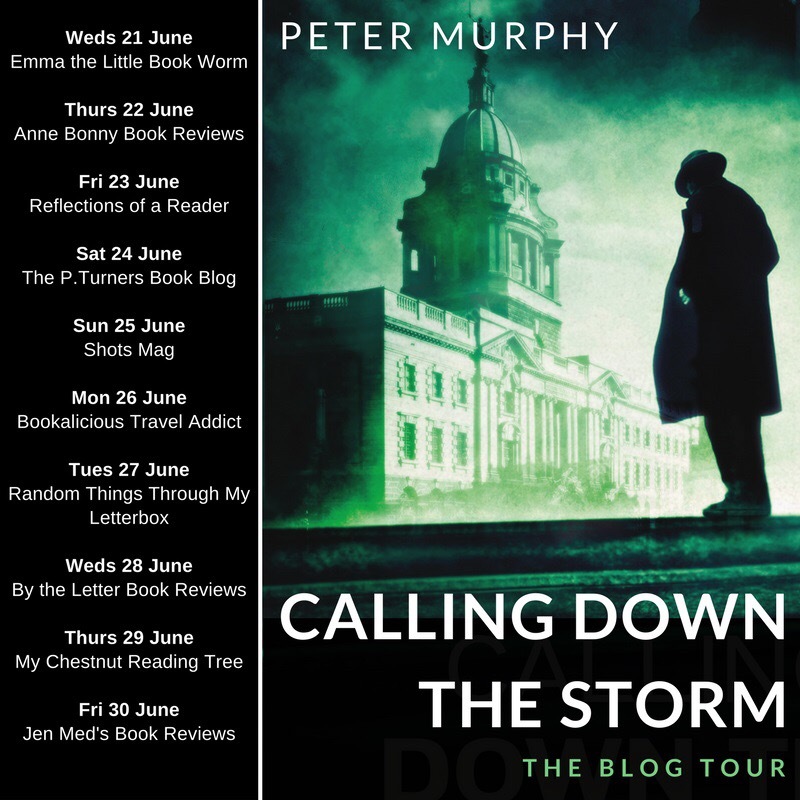 I am delighted to be on the blog tour today for Calling Down The Storm by Peter Murphy on its publication day! So huge congratulations to No Exit Press and Peter Murphy today and many thanks to Anne Cater for inviting me into the tour. This is the first book I’ve read by Peter Murphy and I have to admit that I hadn’t even realised it was part of a series until I was writing up this review and saw it was number 5 in the Ben Schroeder series. But I would say 100% that you can read this as a standalone novel. I did and can honestly say I didn’t feel I missed anything by doing so! Peter Murphy has used his vast experience of the law to create a believable and authentic legal thriller here of an exceptionally high standard. Set in the early 1970s at a time when the “old boys club” mentality was running high in the men’s clubs in the city of London, the author has taken a real life setting and some high profile characters of the period to spin an intricate and fascinating insight into the gambling scene of the day. When I first read the chapter where the murder takes place, I was wondering how on earth the author was going to be able to maintain the momentum for the whole plot as it seemed to be such an open and shut case. But things are never quite what they seem here and when we meet Conrad Rainer, that’s when this book became pretty unputdownable for me! The description of the gambling clubs and the games played both on and off the tables was fascinating, as was Conrads private life and I became thoroughly involved in his downfall as I watched helplessly from the sidelines. Most of the characters here are very unlikeable and the male ones are shown in a pretty bad light especially when it comes to their attitude to women! I loved the flow of the narrative here and how one chapter just lead to another within the same thread, there wasn’t a lot of changing of perspectives or timelines just a good old fashioned legal thriller that we don’t see enough of nowadays! Although it took me a while to find my reading pace due to the large number of character introductions at the start, once the courtroom scenes started I was sucked into the drama until that final verdict. I thoroughly enjoyed and recommend this insight into a period of time when the law was a profession that excuded power and glamour and I will definitely be looking out for other legal thrillers by Peter Murphy in the future. Peter Murphy graduated from Cambridge University and spent a career in the law, as an advocate, teacher, and judge. He has worked both in England and the United States, and served for several years as counsel at the Yugoslavian War Crimes Tribunal in The Hague. He has written two political thrillers about the US presidency – Removal and Test of Resolve – and five legal thrillers featuring Ben Schroeder: A Higher Duty, A Matter for the Jury, And is there Honey still for Tea?, The Heirs of Owain Glyndwr and Calling Down the Storm. He lives in Cambridgeshire. It’s on my radar now!